The Congress has sought President Ram Nath Kovind's intervention, saying the government had delayed the winter session of Parliament "without ascribing any justification for doing so". NEW DELHI: The Congress has sought President Ram Nath Kovind's intervention in convening the winter session of Parliament "at the earliest", saying the government had delayed it "without ascribing any justification for doing so". In the letter dated November 21, the Congress Parliamentary Party said the apparent reason "informally" mentioned by the government for the delay was the assembly elections in Gujarat. 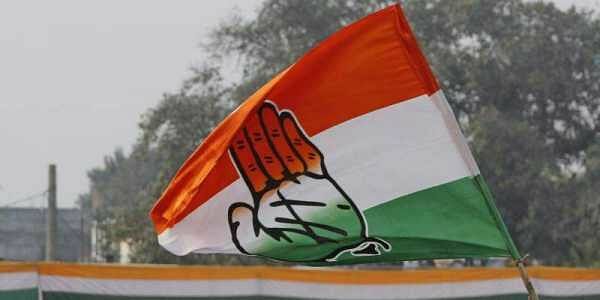 "It is important to note that the schedule of elections are finalised by Election Commission of India whereas the Parliament Session is convened as per established practice and convention," said the letter signed by senior Congress leaders Ghulam Nabi Azad, Mallikarjun Kharge, Anand Sharma, Jyotiraditya Scindia and Deependra Hooda. In the past, many state assembly elections were held when parliament was in session but no session was deferred, they said. "We wish to point out that in 2012, the assembly elections for Gujarat were held on December 13 and 17 but the Parliament session as per practice was duly convened on November 22 and was adjourned only on December 20," the letter quoted them as saying. "It is also pertinent to mention that winter session is preceded by the longest inter session breaks after the monsoon session vis-a-vis all other session breaks." Thus, not convening of winter session on time will set an unhealthy precedent, they added. The Congress leaders also said it was clear that the government was trying to avoid "facing Parliament and answer questions on its flawed and unpopular policies and decisions and rampant corruption". It was a matter of serious concern that the MPs were being denied the timely opportunity to discharge their Constitutional duties, they added. These leaders said the development had undermined the institution of Parliament itself and called for President's urgent intervention as the custodian of the Constitution. "We urge upon you to direct the government to summon the Parliament at the earliest as the power of summoning and proroguing the Houses of Parliament are constitutionally vested in the President," they said.